Ai Group Apprentice & Trainee Centre have multiple exciting opportunities available for people who identify as an Aboriginal &Torres Strait Islander person under the Victorian State Governments Youth Employment Scheme (YES). The YES program offers people aged 15 to 24 a career kick-start with traineeships in the Public Sector within various administrative support positions. Positions are located within the Melbourne CBD. > Excellent working conditions with limitless career opportunities. > Easy access to public transport. > Provide support in the collation and distribution of documents. > Communicate and liaise effectively with managers and staff to assist in the professional operation of the business unit. > Perform a range of administrative tasks accurately and in a timely manner including, answering routine queries, taking messages, following up on action items, arranging meetings and agendas, photocopying and filing. > Perform computer-based tasks including, preparing and sending standard written communications, maintaining databases and registers. > Other administrative support as required. > You identify as an Aboriginal & Torres Strait islander person (mandatory requirement). 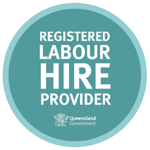 > Commitment to a 12-month traineeship, while undertaking a Certificate III Business on the job. > Strong sense of self-motivation and enthusiasm with a high work ethic and can-do attitude. > Honesty, reliability and punctuality.